Stylish, clean, modern. 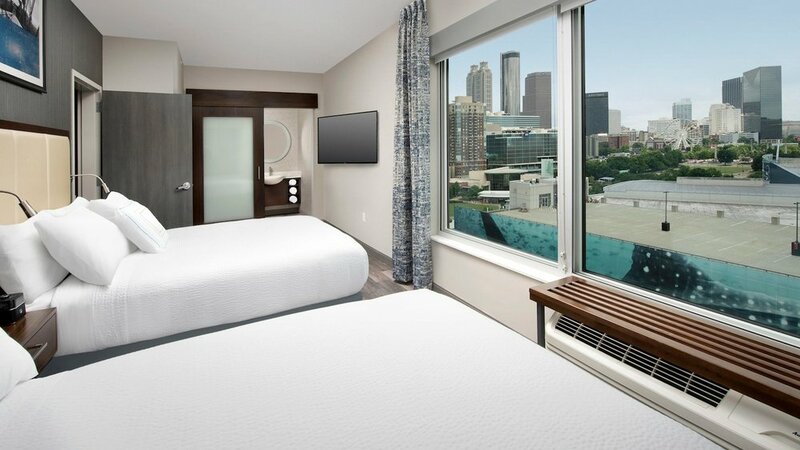 The newly built Springhill Suites hotel in downtown Atlanta is the perfect hotel to stay at when exploring some of Atlanta's main attractions. 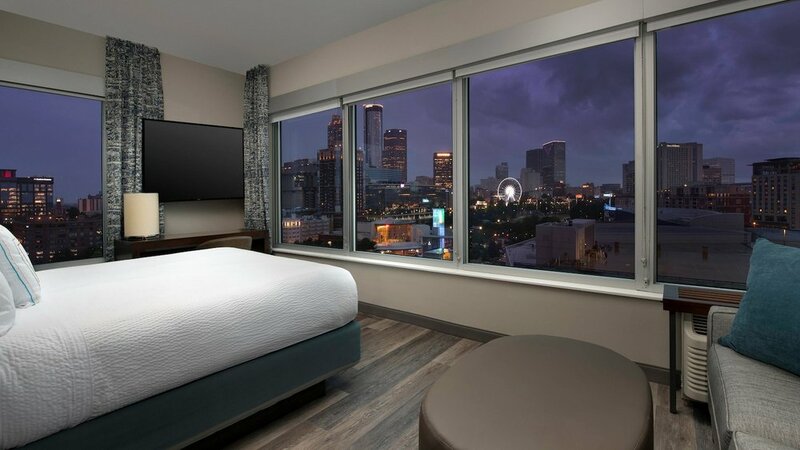 The upscale high-rise hotel is located near the Georgia Aquarium, the new Mercedes Benz Stadium, The World of Coke, the Phillips Arena and the College Football Hall of Fame, among others. 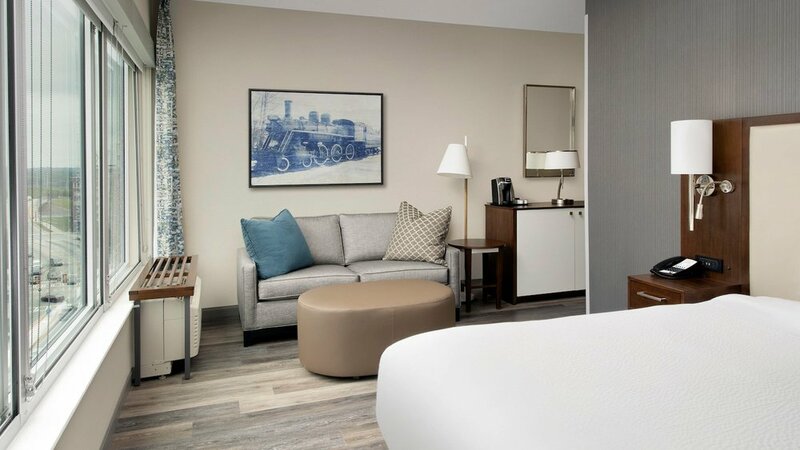 Not only are the surroundings remarkable, the interiors of the all-suite hotel complement the stunning city views. 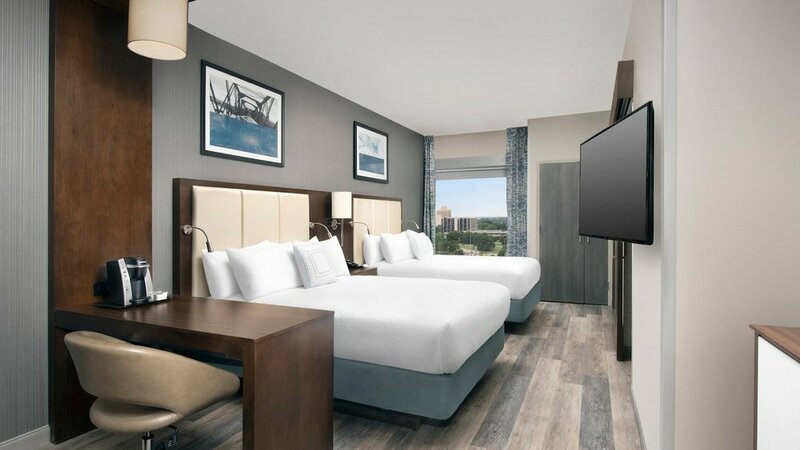 Take a look at the beautiful design by Marriott.